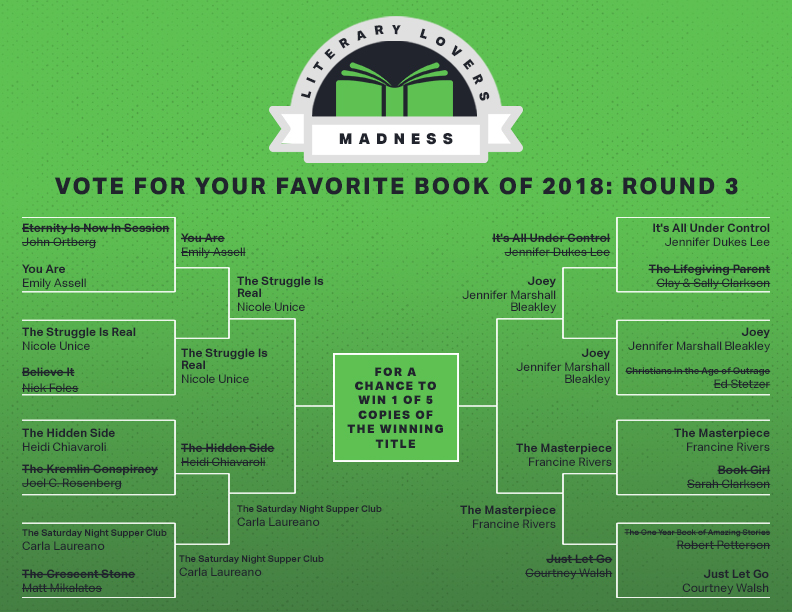 Thanks to your support, Joey has won the second round of book publisher Tyndale’s Literary Lovers March Madness. Amazingly, Joey is in the final four of a competition to crown Tyndale’s best book of 2018, and is now up against Francine Rivers’ The Masterpiece. Will you help Joey make the championships by taking a minute today to vote for the book that has meant so much to Hope Reins and the kids we serve?